A 2016 Xavier University grad is shaking up the region’s building industry by dramatically reducing building energy expenses and consumption. And in a day and age where Cincinnati is gearing toward a future of sustainability and environmental savviness, this couldn’t have come at a better time. 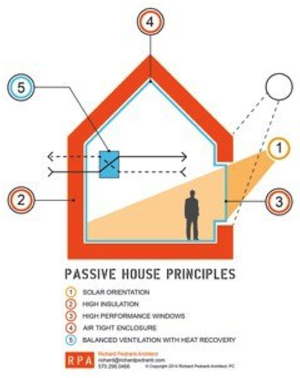 Ronald Vieira, founder of PassivHaus, has been conducting research to figure out how to decrease the extra expenses people have to pay for in order to build a "passive house." While there are several passive houses currently being constructed in Cincinnati, they have yet to be certified. What is so important about incorporating environmental consciousness into area homes? According to Vieira, PassivHaus is doing things a little bit differently. Vieira says that it's a series of building standards that, if followed properly, will reduce up to 90 percent of the heating load of your house, building or facility. Overall, it reduces up to 75 percent of a building's overall energy consumption. The main principle behind a passive house is the use of super insulation — or continuous insulation — because the idea is to isolate the inside temperature of the house from the outside environment. Whether the outside is hot or cold, mild or humid, the goal is to preserve the indoor environment to the best of the indoor’s ability. In turn, this requires a high-powered, high-quality air filter to maintain the stabilized inside climate without the air getting stale. Implementing passive houses on a broad scale is more complex than it may seem. The houses require more material, as well as high-driven (and certified) talent to design the buildings. Most architects and builders don’t yet understand the new materials and ideas associated with a passive house. 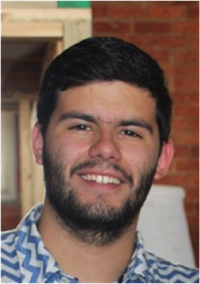 Growing up in Venezuela and having experience with extreme poverty, Vieira felt he was more qualified to tackle a non-social challenge following his college career at Xavier. In researching energy efficiency, he wanted to know more about how to get people to generate energy in an environmentally-friendly way. The property tax abatement for 15 years on certified passive houses in Cincinnati is huge. Plus systems are bought in bulk thanks to the Greater Cincinnati Energy Alliance, and Cincinnati is one of the best cities for startups. If you are looking for a new home and are curious about energy efficiency and how it helps you save money, check out PassivHaus or email the Vieira at ron@passivhauscincy.com.